Our extensive range of sophisticated aluminium framing systems partnered with the unmatched industry experience of Breezway® Louvre Windows provide the market with a complete and advanced louvre solution. Breezway® louvres encompass many innovative and patented inventions that provide improved product strength, performance and flexibility when combined with the Alspec Range. The Air-Flo system is purposely designed to be integrated with the entire Alspec range providing a total solution for all residential and commercial louvre windows, including fixed lights and hinged doors. A complete screened louvre frame offering a variety of external security and flyscreen options for louvre windows. 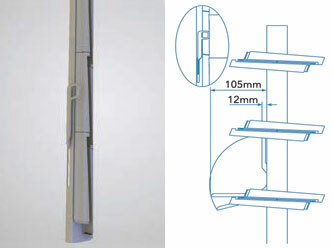 The Air-Flo range now includes a slim line frame developed to suit narrow louvre installations. The narrow frame provides a slim, neat appearance using an integrated head and sill design. A vast range of supreme quality louvre windows developed to maximise light, air and space. Automated Louvre window system which incorporates a concealed motor within the head of the frame and operated by the Powerlouvre™ Apptivate® Control Unit, the Powerlouvre™ App, or integrated into a building management system. 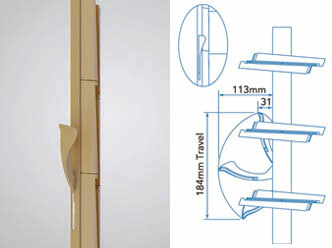 Stronghold offers a fall prevention louvre solution by mechanically retaining the louvre blades. This system provides additional strength and safety in multi-level buildings, balcony enclosures or school applications. 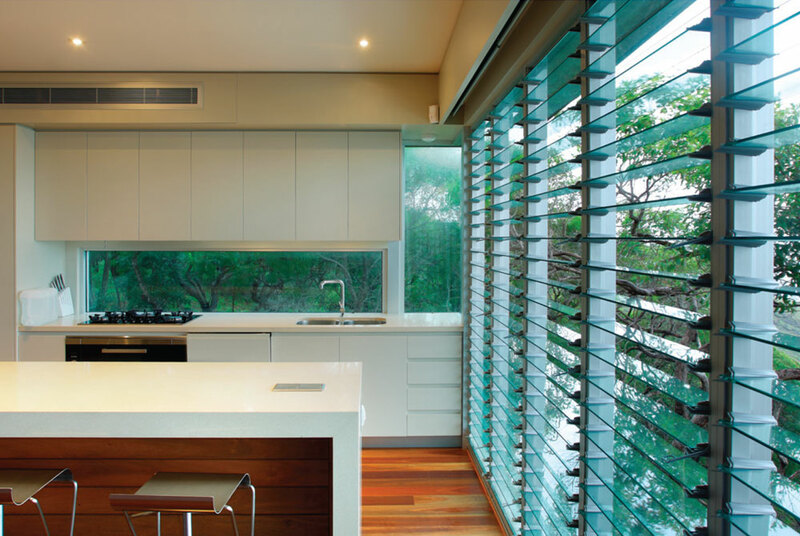 The Air-Flo system together with Breezway Louvres puts you in total control of your environment. Control the air movement from a gentle breeze to wide open ventilation with a simple click or touch of the easy to use operating handles. Stylish design fit to the human hand for easy use. For out of reach louvres operated by a map rod. 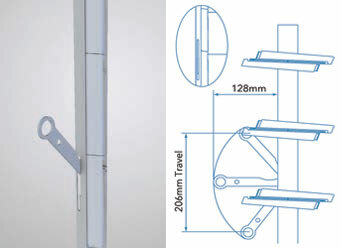 Perfectly designed flush style handle to be installed into bi-fold and sliding doors. 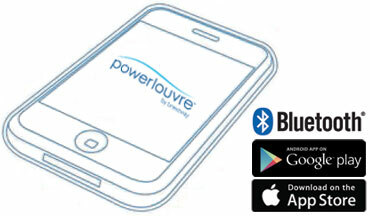 Powerlouvre control unit, operated by touch sensitive wall plate or Smartphone. Australia’s premier Stainless Steel Security brand utilises materials of the highest quality ensuring maximum security and great looks. Compatible with the Air-Flo framing and other Alspec systems, Invisi-Gard stainless steel mesh provides the ultimate in louvre window security without restricting the flow of air or vision provided by Altair gallery. In an Australian first application, Breezway Altair louvres with Invisi-Gard screening achieved an exceptional BAL40 level of compliance for buildings within bushfire prone areas. Invisi-Gard has now set a new industry standard for screening and security in the louvre window market. KidScreen Window Fall Prevention screens are a unique patented design that provides a cost effective barrier solution specifically for child protection of openable windows. With an option of our exclusive KidScreen mesh or stainless steel 316 grade mesh the screens ensure compliance to various building construction requirements without compromising the look of the window.